"A well-structured and comprehensive Italian course." Italian is often called the language of love. It is also the language of delicious food, Fellini, and opera. All good reasons for wanting to learn Italian. 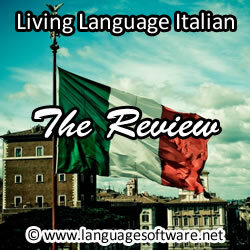 When looking for a course to learn Italian I noticed that Living Language had excellent feedback from its students. I wanted to see for myself whether it lived up to its reputation. Below I share my experience testing out the online self-study program. You can see what I believe are the major pros and cons of this course. You can find out how it compares with other Italian language courses. Finally, I share my recommendation as to whether I think Living Language is the best way to learn Italian. Access to the online course costs $150. The whole course is web-based which means that it can be accessed using any computer connected to the Internet. The main component of the Living Language Italian course is 46 lessons that cover the essentials of Italian. In these courses you learn conversational skills, grammar, vocabulary, and Italian culture. These lessons are supported with tutoring sessions. You are given access to a personal tutor who is a native Italian speaker. The tutor can help you with any questions and review the material that you have been studying. Living Language students also have access to the Italian online community of other students and Italian language experts. Finally the software comes with a progress tracker which shows you how far you have made it through the course. Well structured course - Each of the 46 Italian lessons build upon one another. There is a clear sense of direction and the progress tracker helps to reinforce your improvement. This compares favourably with some other language courses which seem to switch from topic to topic. Useful online community - Having access to the online community (forums) is very useful. You can post questions and have them answered by other students, and sometimes instructors. While the community could be more active, if you ask a question, it will generally be answered at some point. Native Italian tutors - The tutoring service offered by Living Language is exceptional. For $150 you get access to live tutoring with a native Italian speaker. These tutors are friendly, well organized, and happy to answer any questions. The classes never have more than three students and so you always feel like you are getting enough attention. Bonus material - It also comes with some free bonus material. Within is the iKnow program which includes 1500 Italian words and phrases. This makes for a very useful phrasebook. You can also download the Italian pocket phrase guide, also great for travelling. Requires a focused approach to study - Many of us struggled to learn Italian either at high school or college. Unfortunately, the approach used by Living Language is very similar to that found in the classroom. If you are looking for a less academic approach to studying Italian, you may want to try a course like Pimsleur, which doesn't require you to complete reading and writing exercises. That said, if you want to get great results, it is hard to beat the Living Language approach. Progress marker can be inaccurate - One of the things that I notice with the progress marker is that it doesn't record your progress inside a lesson. If you leave a lesson incomplete, it will not mark the parts of it that you have already done. Worse still, it is not always clear what you need to do in order to fully complete the lesson. This can be frustrating as the progress marker is a good way to encourage you to complete the material. As mentioned above, Living Language takes a very academic approach to teaching Italian. In contrast, Pimsleur is a slightly more accessible way to learn Italian (my review). With the Pimsleur approach you are provided with the space needed to speak your answers. It is an entirely audio-based method and doesn't have the exercises that Living Language does. Some people will prefer the Living Language approach, others will like Pimsleur. The price is significantly lower than Pimsleur. Pimsleur phases 1 to 4 costs $450, $300 more than Living Languages. Despite the higher price tag Pimsleur is less comprehensive in terms of topics and multimedia. Another popular Italian course is Rosetta Stone (my review). Rosetta Stone and Living Language have a lot in common. Both courses teach reading, writing and conversational skills, and provide online tutoring. In addition, Rosetta Stone has speech recognition technology so that you can ensure pronouncing Italian words correctly. Rosetta Stone is priced at $279 for levels 1 to 5, which makes Living Language Italian better value for money. Another alternative to Living Language Italian is Rocket Italian (my review). Rocket Italian is currently priced at $69.95. Of the major language Italian language forces Rocket Italian is the cheapest. Like Living Language, Rocket Italian is a complete course that covers reading, writing, grammar, and conversational Italian. Rocket Italian also uses flash cards, quizzes, and games to help reinforce the course materials. If you are looking for an inexpensive but still comprehensive Italian course, then you may want to opt for Rocket Italian. The other benefit of choosing Rocket Italian is that you can take out the free six-day trial to see whether it is right for you before you buy. Well structured and comprehensive layout. 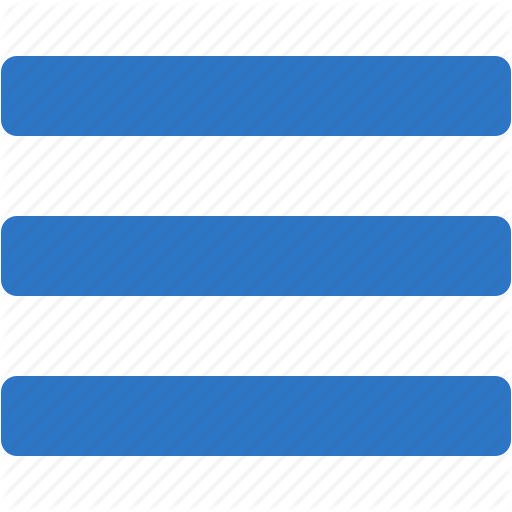 Includes access to the forums. The e-tutoring is great for conversation practice. The progress marker can be inaccurate at times. Academic approach requires focus over longer periods of time. The forums are not very responsive. Italian is a great language to learn, and provided that you have the discipline to complete the exercises, Living Language Italian will get you to an intermediate ability. Living Language Italian has a nice range of activities, excellent online support and is a well structured course. Overall it is a solid choice in learning Italian, but offers slightly less value for money than Rocket Italian.